If you’ve already got a cat (or multiple cats) at home and you’ve decided to add another to the family then not only are you a wonderful human being, but you’ve got a bit of a job on your hands. Introducing cats to one another can be a time consuming and stressful process, depending on the cats of course. Let’s take a look at not only how to introduce cats, but also discuss all of the other associated pieces to bringing home a new feline friend. If you haven’t already selected a cat (or had a cat choose you) then you can put to use a few rules of thumb about selecting a new cat. Many shelters have historic information and foster reports on cats that can be invaluable to selecting the right cat for your household. Many fosters have resident cats themselves (I do!) and will indicate if the cat interacted well or not. 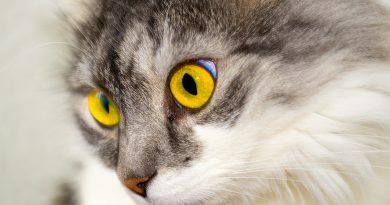 This can tell you whether your potential new addition is more likely to get along with other cats than a completely unknown feline. Ask and put this information to use! You’ll also want to consider the age of the cat(s) in your household. If your resident cats love to play and wrestle then another playful cat is a great idea. 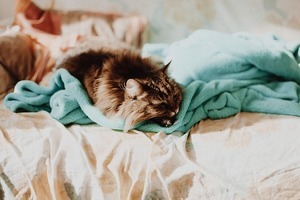 In general the older a cat the less energetic & playful. A 2 month old kitten isn’t a great idea if you have a 10 year old cat at home. Activity level factors in too. There are of course older cats that are super energetic. If your cat prefers to lie in the sun all day, you’re probably better off adopting a cat who has similar habits. A young kitten or adolescent full of energy is not the best idea for a household with an older cat or a take it easy type of cat. Exchange used bedding that have the scent of each cat. Simply move the bedding between rooms while keeping the cats separate. Rotate which cat has the run of the house. If your new cat is kept in an extra bedroom initially then let her out and put your resident in the bedroom for a short period of time. Getting used to the new scent in their territory will go a long way in establishing an initial connection between the cats. It ensures they don’t meet on terrible terms right away. It is basically the gateway for their first (supervised) encounter. The next step you’ll want to follow is to let the cats get acclimated with one another on the opposite sides of a closed door. The easiest way to do this is to feed the cats at the same time near the door. This lets the cats smell one another directly which is another step toward introduction. After eating behind a closed door a few times you could attempt to let them physically see one another. Some folks recommend a baby gate, but cats jump high and baby gates aren’t that tall. I personally recommend just cracking the door open enough so that they can see each other. For the best results you may need to place the bowls far from the actual doorway. Several feet the first time for sure, about 3 on either side of the door is ideal to start. You’ll want to make sure the cats have a line of sight to one another, but keep a distance and make sure neither of them can get through the cracked door! Your goal is to move the bowls closer and closer to the crack over time. If you can’t remember the distance yourself use some tape on the floor to keep track. If you experience hissing or aggressive behavior right away then you might need to go back to the Getting Antiquated step for a bit longer. If you’re only experiencing hissing after moving bowls closer then try pushing them back a bit again for another couple meals. Once the crack in the door is successful you’re off to the races, it is time for the fun part! Once your cats are used to one another while eating and aren’t showing signs of aggression you should start to let them interact. Start to expand the crack in the door while the bowls are near one another and see how the cats handle it. If they sniff one another or just ignore one another and keep eating, great sign. Try opening the door all the way experiment! Your goal is to continue creating positive associations. The more positive encounters the more likely two happy cats will grow to like one another and turn into best buds! Cat Introductions Take Time: Introducing cats is a time consuming process. Some folks might have two super chill cats and it takes a week, or even a day. This is not the norm. The more common introduction takes weeks, sometimes even months. Be persistent! Be Patient! Follow your plan and don’t give up! Don’t Let Them ‘Figure It Out’: If you’ve ever heard “Put the cats in a room and let them figure it out.” then you’ve heard wrong. This is the fastest method you can find to end up with an injured cat and cats that will have trouble getting along for weeks or years to come. Do not do this! 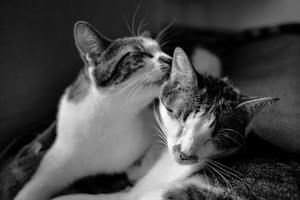 Some Cats Just Won’t Be Friends: Some cats are more prone to make friends than others. There are those cats out there that simply do not like the company of other cats and no matter how hard you try or how much time you spend they will never be pals. The best you can hope for in this case is tolerance, hoping they won’t hiss at each other every time they walk by. Alright, let’s be honest, I agree with Jackson Galaxy. Not the other way around. But if you’re even the slightest bit doubtful about what I’ve documented above then take a look at his video on YouTube that provides an overview of introducing cats. Professional proof always lends a helping hand! There are of course other ways to help speed things along and skew the odds in your favor. 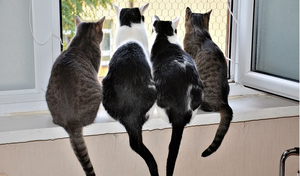 The most common method for helping your cats integrate successfully is to put Feliway to use. Feliway is basically a synthetic pheromone that makes cats feel safe and comfortable even in a completely new environment with other cats. 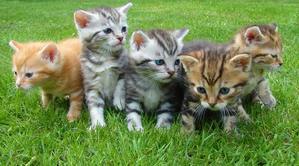 Feliway works distributing pheromones into the air which results in calmer cats in general. 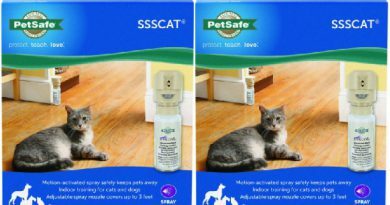 Note that the pheromones are scentless to humans but have a significant impart on both your resident and new cat(s). 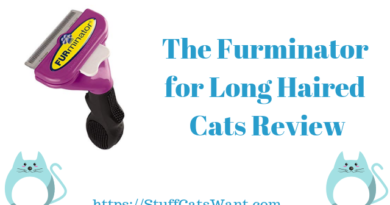 To read more information check out my full review on Feliway Multicat here. Bringing a new cat into the household can be a very stressful for experience for both your resident cat(s) and the new cat(s). To ensure that you minimize their stress, and the stress on yourself, be sure to slowly introduce the cats to one another over an extended period of time following the above steps. Not only will this methodology ensure that you don’t end up with any battles between your cats, but it will also make sure that you have a smooth experience that results in your cats loving one another, or at least tolerating one another at the worst. I’ve used this same method multiple times with my foster cats and it has been incredibly successful other than with the most aggressive of foster cats. Sometimes I will freely admit I’ve simply had to keep my foster cats quarantined for the safety of my resident cats. 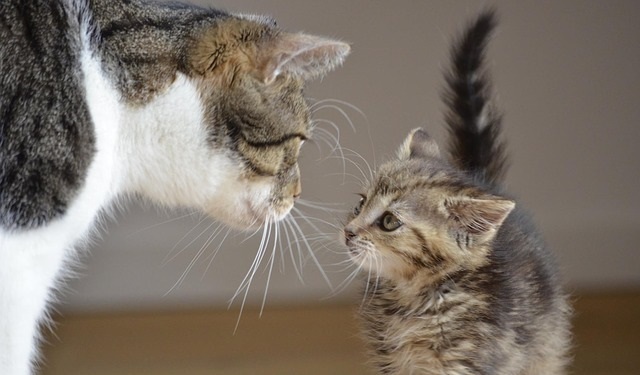 If you’ve had any experience introducing cats to one another beofre and you’d like to share your story please comment below or shoot me a note at Craig@StuffCatsWant.com so I can update this article to reflect your thoughts. Thanks Craig this is a comprehensive article and one I wish I had of read years ago. I’ve only ever tackled one cat at a time because I just didn’t know how to go about introducing a second. My son loves cats – he will be thrilled I have found this article and more open to getting 2 cats. Thank you! Glad you found it helpful! If you run into any issues please let me know, would be happy to help you work through them! I have problems introducing my when I bring home a new foster all the time. I’ve watched the Jackson Galaxy video in the past and tried most of your tips here, but nothing has really worked. I’ve read mixed reviews on Feliway, but might consider it seeing your success with fosters. Feliway really has been very helpful and successful for me. I’ve had a lot of luck with it and my cats seem to respond to it pretty well. If you’ve never given it a shot before I’d definitely recommend it. This is a great guide on how to introduce cats. A careful and sensible approach that will surely be beneficial for both the owners and the cats, by slowly building the relationship of the cats to become great friends. Great article and tips. Thank you so much!